OMG my girls and I (and even daddy) had so much fun making these. Plus, they turned out so cute and were incredibly easy to make; even my four year old was able to make one. They would make a perfect hostess gift for who is hosting Thanksgiving Dinner. 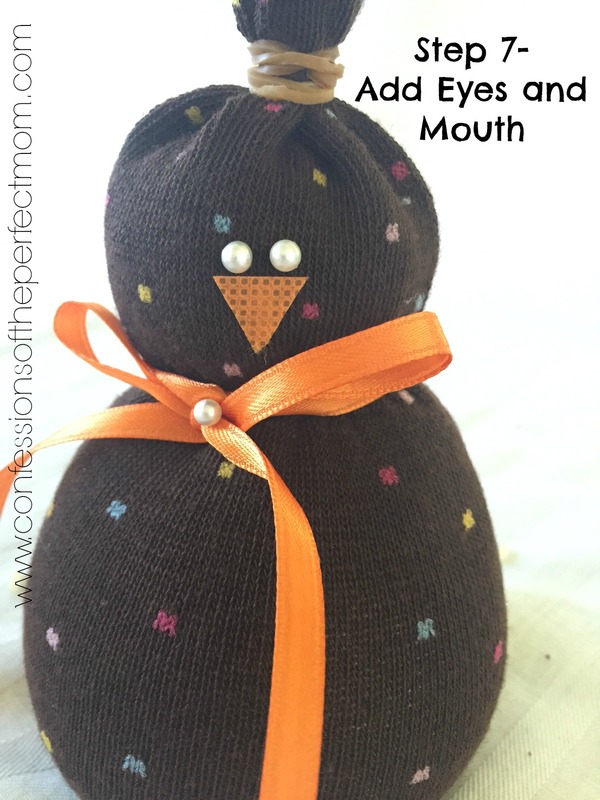 Everyone has seen snowman sock crafts (oh you haven’t no worries, tune in in December for those. As a little preview they are way easier to make then the turkeys), so this is a little twist on those. Socks (preferably brown or fall colors) Women’s and Children’s work the best. Mens tend to be a bit large. 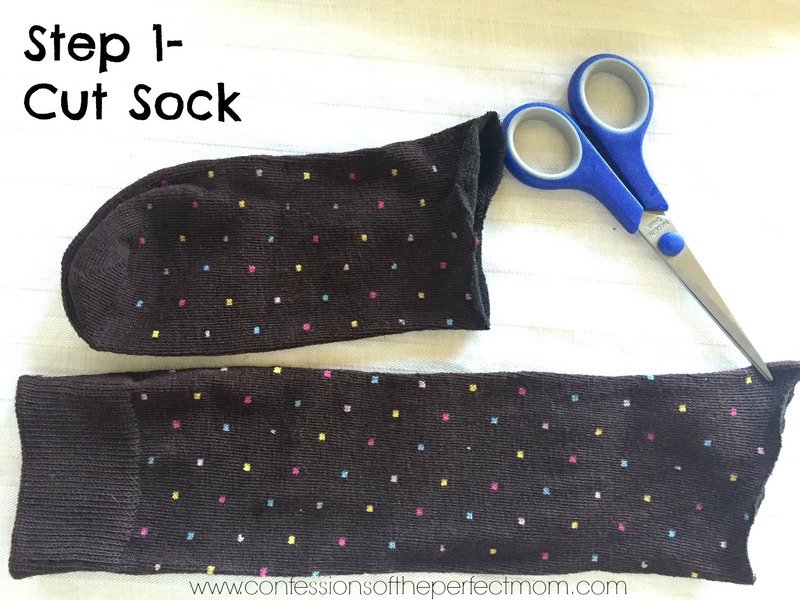 Step 1– You will need to cut the sock just above the heel. Put the piece with the toe aside for now. 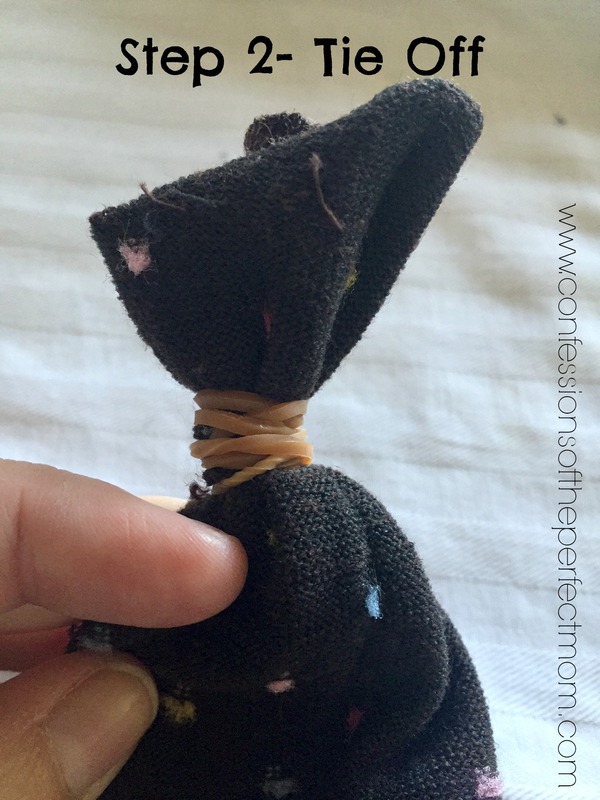 Step 2– You will need to turn the sock inside out, using one of your rubber bands tie up the side that you cut. Make sure that it is tight, you don’t want rice falling out. Once all tight, turn your sock right side out again. 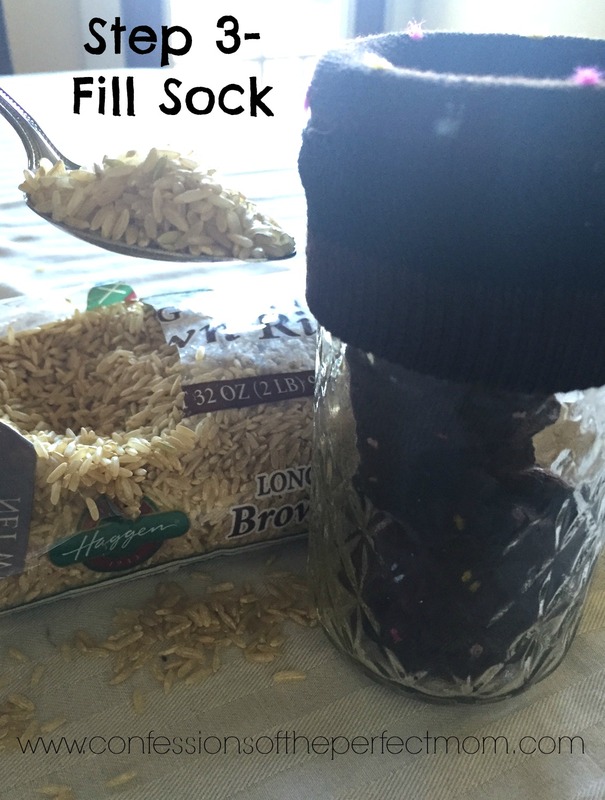 Step 3– Fill the sock with rice, to make it easier I put my sock inside a mason jar. When it is about half way full put a few drops of the essential oil in, if you choose. 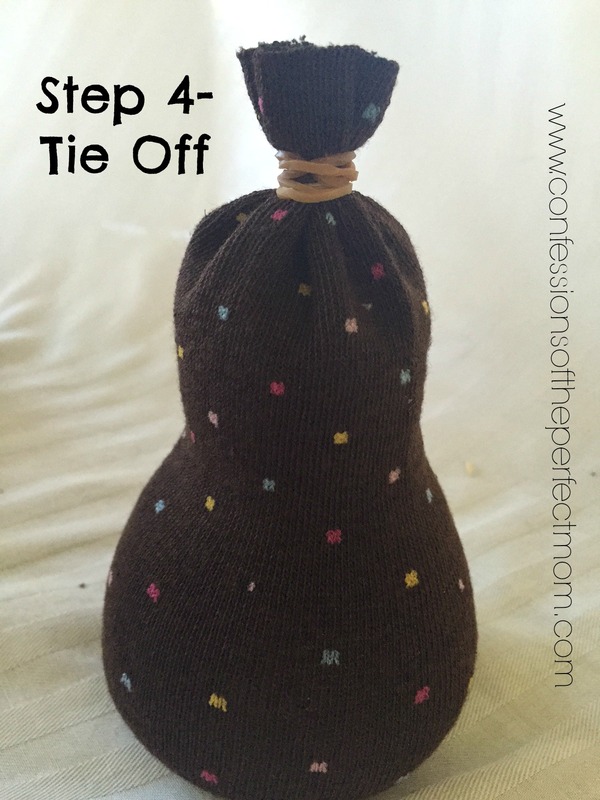 Step 4– Once you have your sock all full of rice, tie up the top using a rubber band. Step 5– About a third of the way down, use the last rubber band and gently tie off. Only tie the rubber band once or twice, if you tie it to tight you will end up with a bobble head turkey. 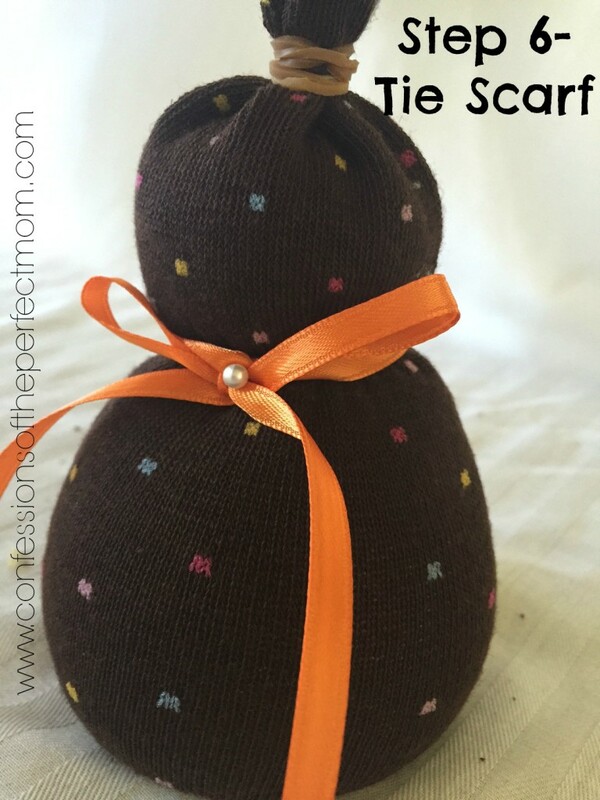 Step 6– Cut off a strip of the orange ribbon, and tie as a scarf covering the rubber band. Use a straight pin to hold in place. Step 7– Using the straight pins, add eyes. 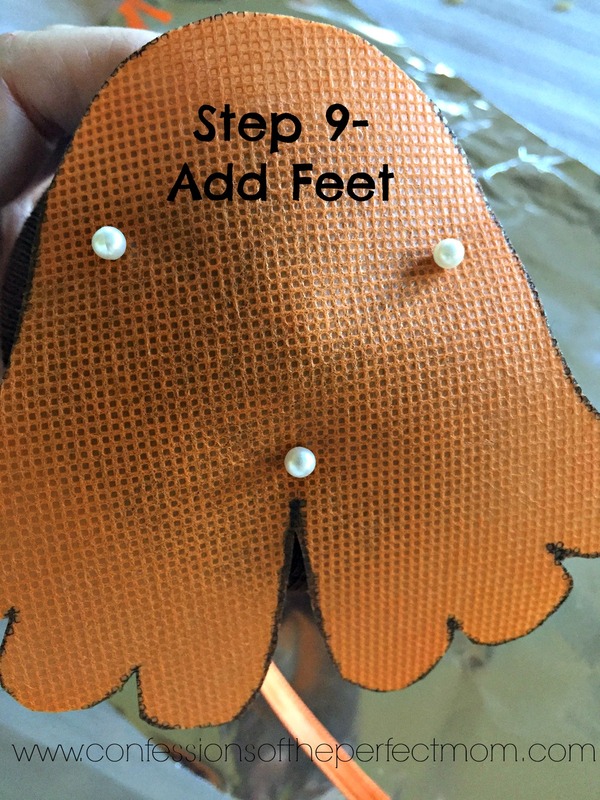 Cut a small piece of orange felt into a triangle and glue on for mouth. 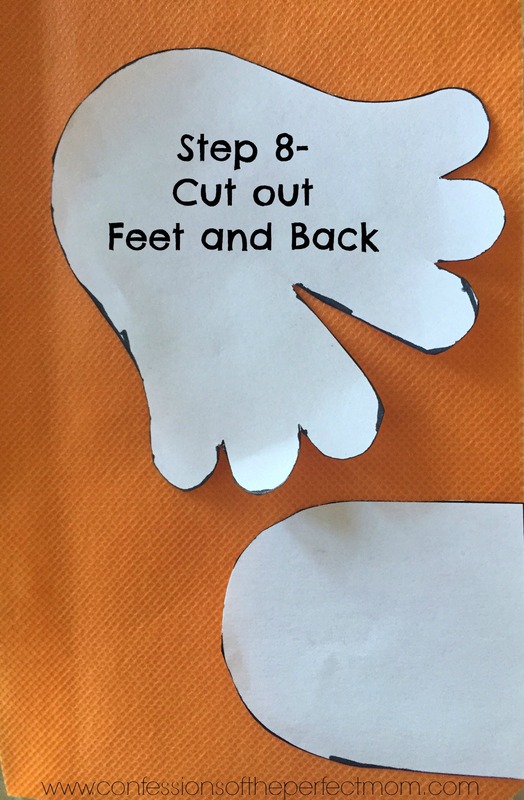 Step 8– Now is a good time to cut out the feet and back out of the orange felt. I like to cut out/make a stencil for the parts before trying to cut on the felt. Winging it is not my strong suit. 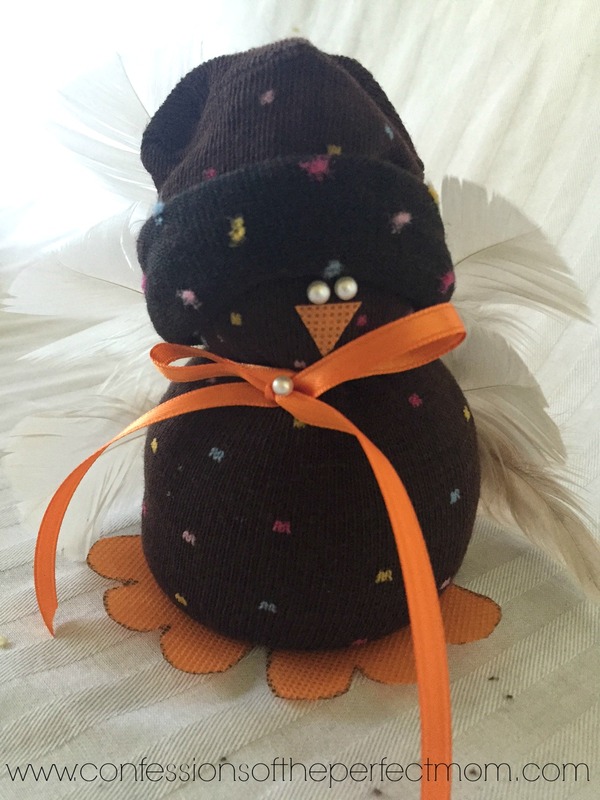 Step 9– It is easy to add the feet now before you add the hat and feathers. You can either glue the feet on or use some pins to hold them in place. I used both. 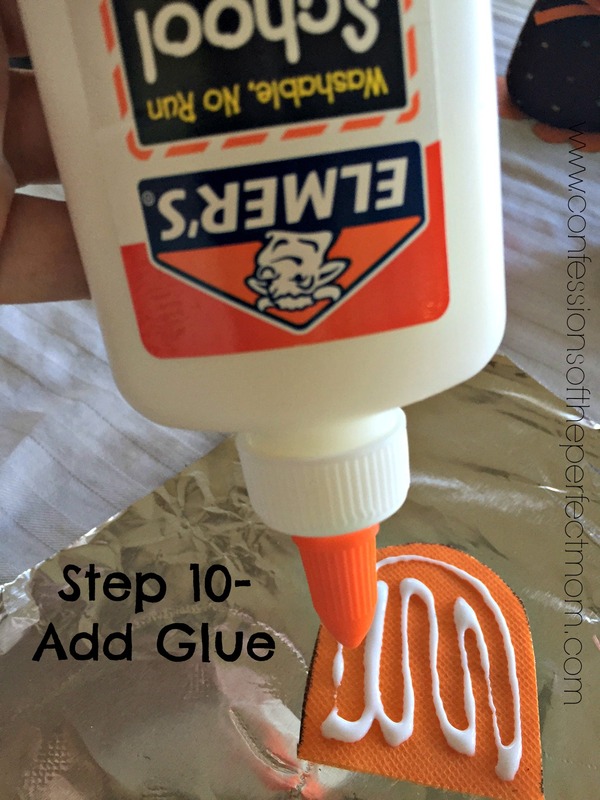 Step 10- You will add glue to the back. Make sure that you cover most of it as the feathers will be attaching to it. I tried to use Mod Podge, but straight school glue actually worked much better. With a whole lot less mess. 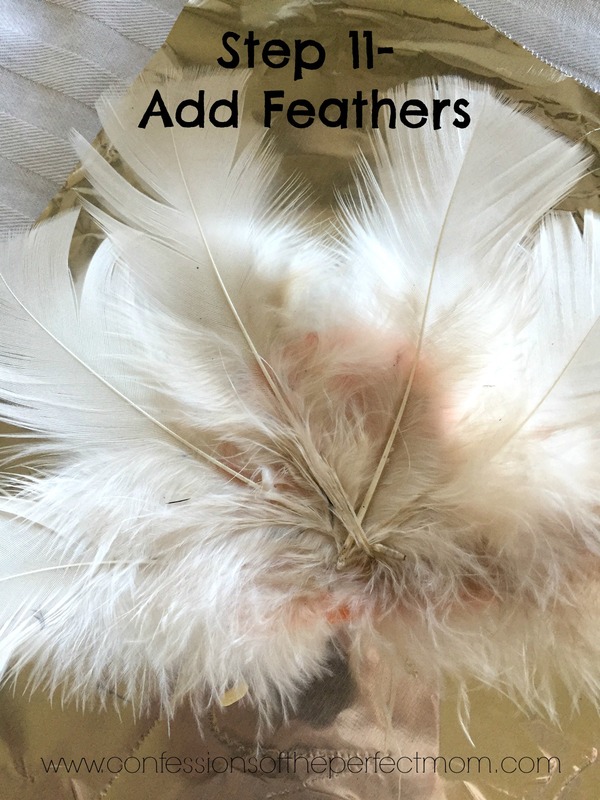 Step 11- Add feathers. You will want to place these into a fan shape. 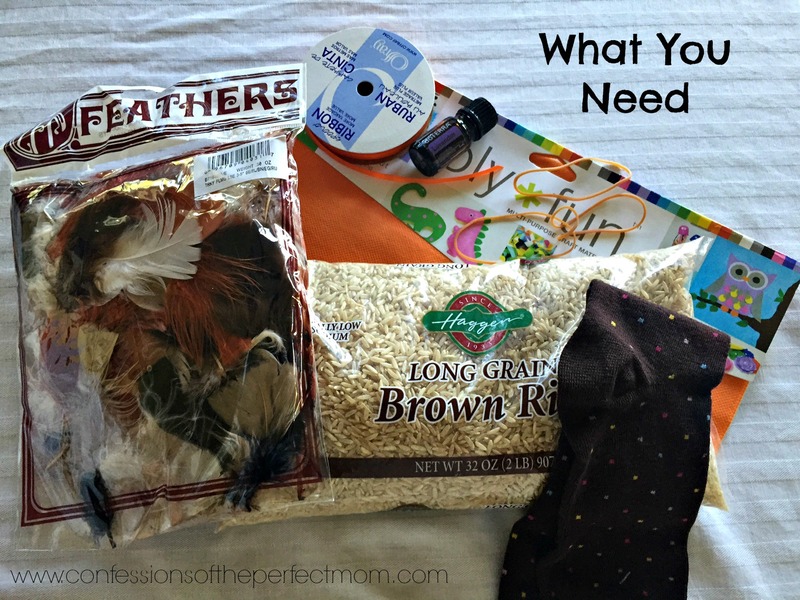 With my dark brown socks, I liked the contrast of white/tan feathers, but you can use any color that suits your fancy. Step 12- You will add more glue to the exposed feather base. This is what will be adhering to the back side of your turkey. 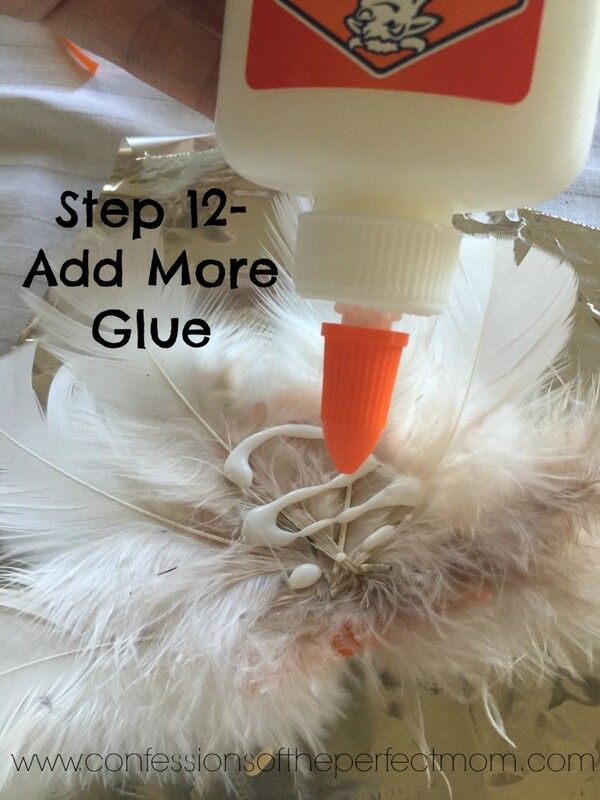 If you tend to be a little glue happy, it will seep out and leave you with dried glue around the feathers. 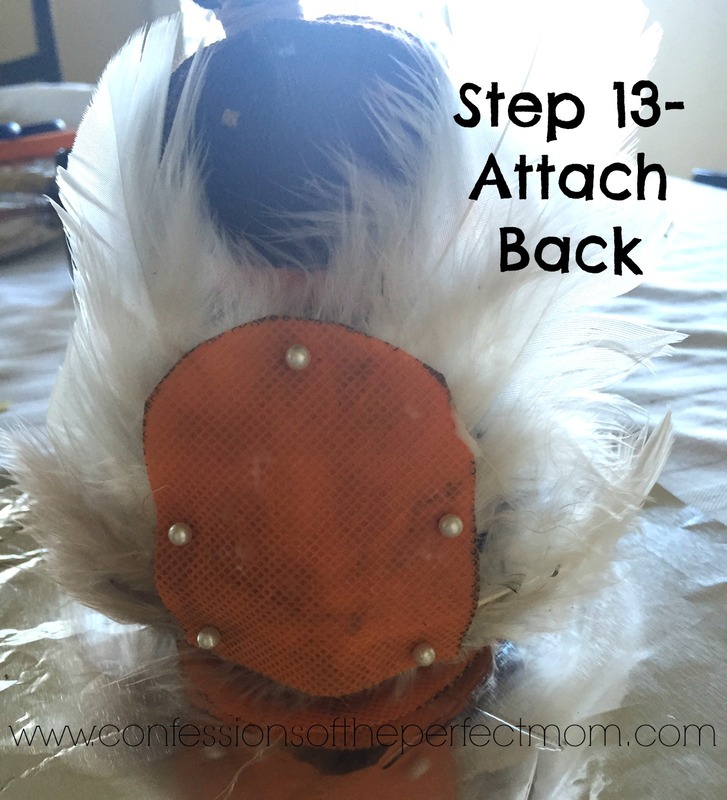 Step 13– Gently press the backing with the feathers against the back of your turkey. With the glue still being wet (or I guess you could wait for it to dry, but who wants to do that), the feathers will shift and move around. You can reposition them to if they press on weird. Now, also we found that they tend to push away from the turkey when it is still wet, we solved this by placing a few pins on it to help hold it together while it dries. Step 14- Woo Hoo almost done. 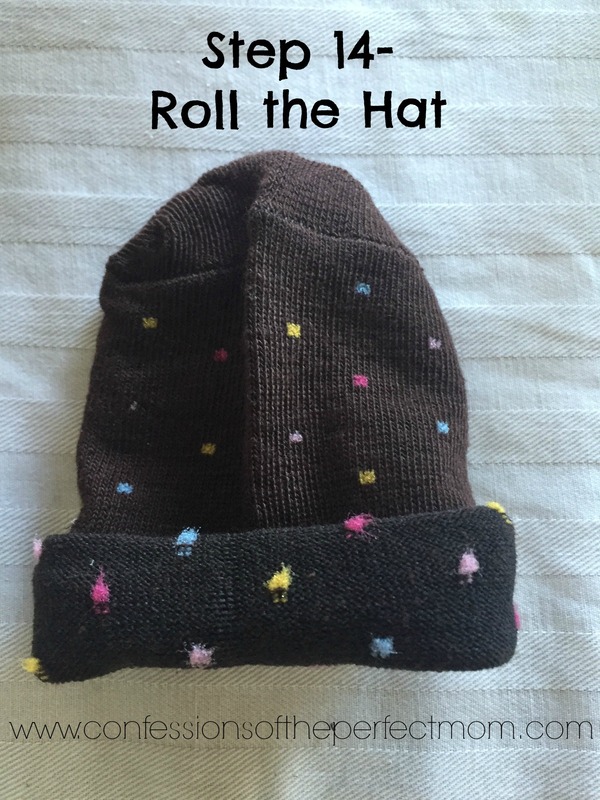 You are going to grab the unused toe part of the sock and roll up the cut side to make a little hat. It can be a floppy hipster kind of hat, or a tighter beanie kind; totally up to you. Once you have rolled your hat, place it gently on the head of the turkey. And there you go! 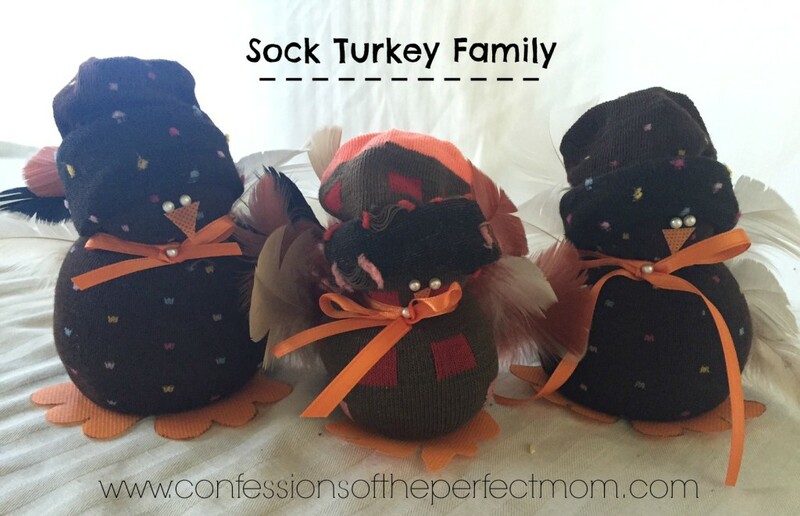 Cute, simple turkeys made out of socks. 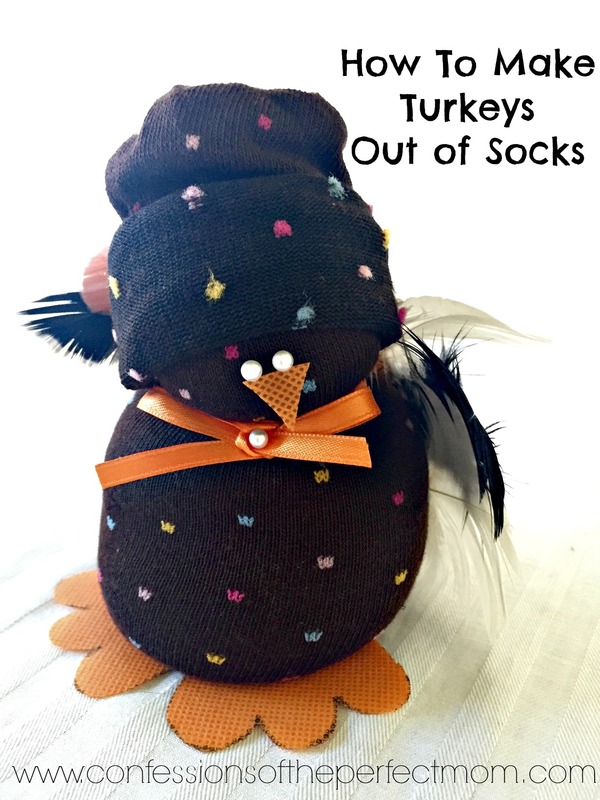 What did you think of this turkey, Thanksgiving, craft? Is it something that you give a try on or pass? 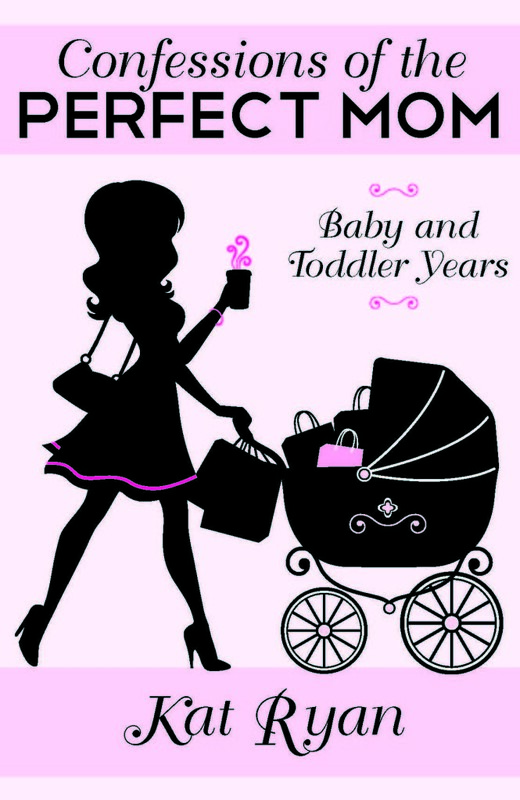 What about letting your kids put them together while you are busy making the main turkey? Let me know what your thoughts are. These are so cute! This is a great idea to make with my boys. Thank you! 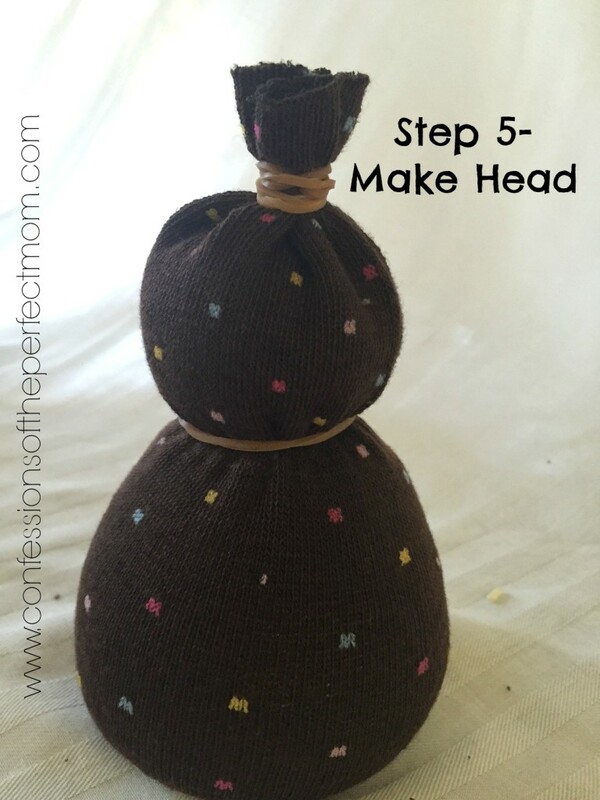 This is such an adorable craft! Oh my goodness, these are so cute! I can’t wait to try these with my kiddos. I would never have thought of this. Very cute.